The Renvyle Athletic Club Open Sports got another boost on Sunday, when a huge crowd turned up at the popular Kylemore venue to witness top class exhibitions from some of Ireland’s outstanding athletes. With the constant rain that had fallen during the previous days, few would have blamed the organisers if they had postponed the meeting. However, the rain stopped and all were blessed with brilliant sunshine for the meeting which went off without a hitch. Sean Toolan, Pearse AC, recorded a fine treble in winning the men’s 100, 200 and 400 metres; Sean Duffy, Tullamore AC, had a double in the senior 800 and 1,500 metres as had Bartley Walsh, Camus AC, in the 16 lb shot and 28 lb shot. John Bolger, Crusaders AC, Dublin, after taking the silver in the 1,500 metres, went on to collect the gold in the 3,000 metres. In the ladies events, Kathleen Kelly, Mayo United AC, took the long jump and 400 metres while Joan Gibney of the same club took the shot after stiff opposition from Una Coyne, Lifford AC. In the junior events, Tony Lee, Roscahill recorded a great treble in the Boys U13 100m, 400m and Shot, while Renvyle AC’s , Deirdre Fitzpatrick, had a double in the Girls U7 80m and the U9 100m. Her brother Sean Peter won the Boys U9 100m and took the silver in the Boys U11 200m and to add to this family’s celebration for the day, the parents of the children, Peggy and Johny Fitzpatrick collected silver medals in the Married Mens and Married Womens Races. Paul Gannon showed a clean pair of heels to the rest of the field in the Boys U7 80m while another Renvyle athlete and great all rounder Bernadette Mullen, took the gold medal in the U13 Shot. Bernadette’s club mate Mairéad Walsh was back to her best form as she took the gold in the Girls U11 200m. 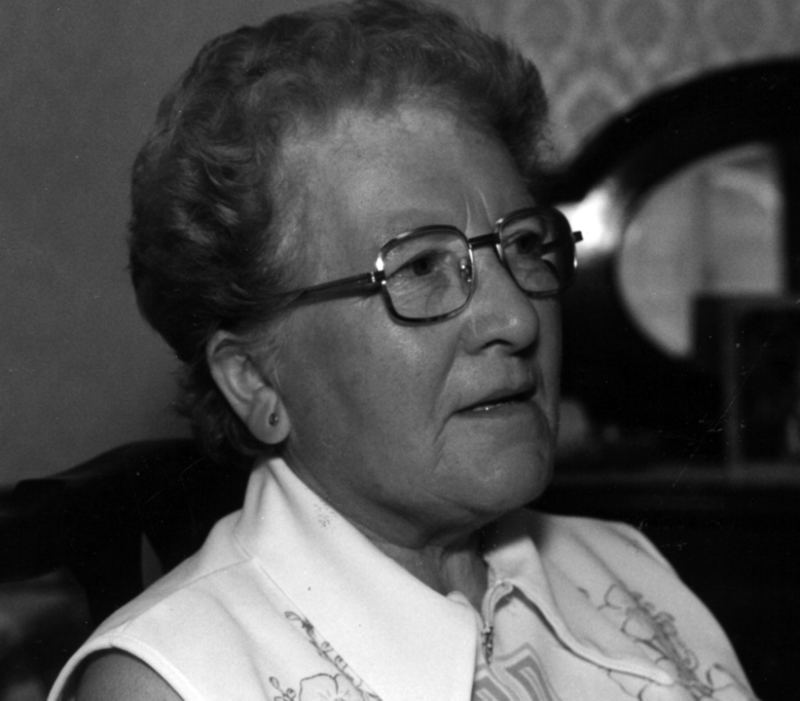 Annie Thorpe, President of Renvyle Athletic Club (1973-1975). Photo Courtesy of Michael O’Neill. A large field was lined up for the Married Mens 100m race and here, Michael Joe Ruddy, who for so long ploughed a lone furrow for Renvyle in athletics throughout the county and the province, showed the remainder of the field (some were even too young to remember his feats as an athlete) that he did not gain his great reputation for nothing as he sprinted through the tape ahead of them. The Tug-o-War competition was contested by four very evenly matched teams, when after ding-dong struggles, Renvyle and Bealadangan emerged as finalists, with victories over Oughterard and Letterfrack respectively. In the final, Bealadangan won the first pull and it was the expert guidance, advice and prompting of the Renvyle coach Thomas Flaherty that turned the tie around. The legendary footballer showed his prowess as a Tug-O-War coach and Renvyle went on to win a beautiful set of trophies, which were presented to them after the competition, by the President of the Renvyle Athletic Club, Mrs. Annie Thorpe.